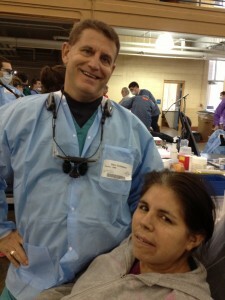 Dr. Goldstein offered free dental care Saturday February 2, 2013 through Sunday February 3 when he participated in a weekend clinic put on by Remote Area Medical. 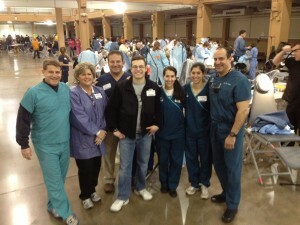 Over the course of that weekend, hundreds of patients in need were able to have a variety of medical needs met, including dental, vision, and general medical care. 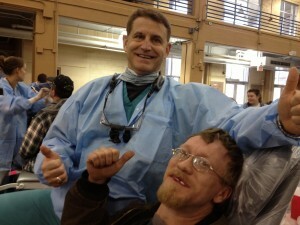 In the dental clinic patients, had their teeth cleaned, filled and, when necessary extracted. 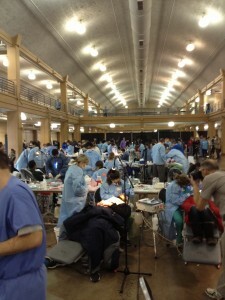 Due to limited access to care, a large majority of the patients unfortunately required extractions. 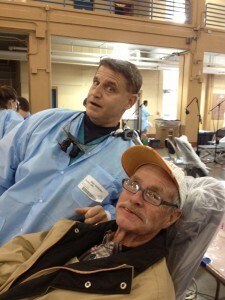 This was Dr. Goldstein’s third mission to help the underserved. Patients began lining up Friday night at Chilhowee Park to make sure that they could be seen when the clinic opened the next day. For many of those who were there, a clinic like this one is the only way they can get the essential care they need. 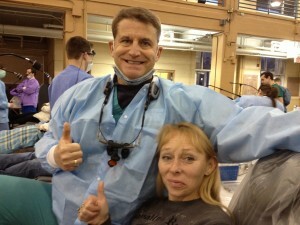 Dr. Goldstein was proud to add his experience and expertise to the mix. A healthy smile is important for overall health and well being. 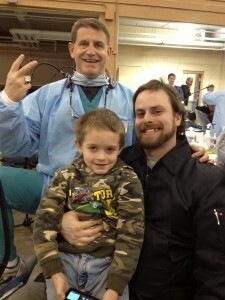 When your oral health suffers, so can your health as a whole. A condition like gum disease can contribute to health conditions in the rest of the body, while missing or damaged teeth can make it hard to enjoy a diet of nutritious foods. patients, and others just like them, can go forward with their needs diagnosed and addressed.